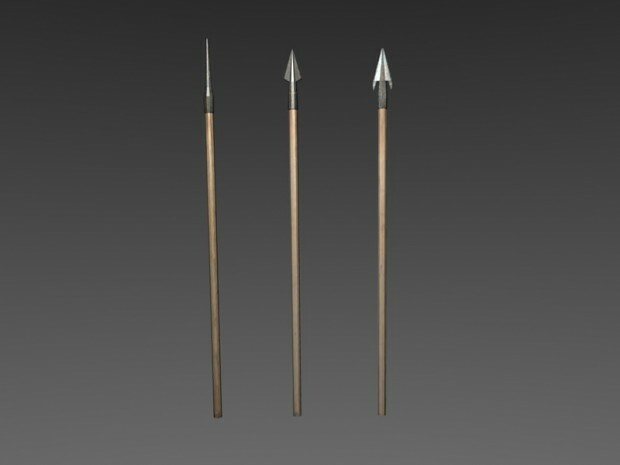 Left = Narrowhead, this as you can tell has a very fin, needle like head allowing for perfect penetration* of pretty much any armour, but, overall it lacks the punch the other heads. *by that I meant it would go straight through while the others get stuck. Right = Barbed head, if this hits you, you are extra dead. Note all these heads have smaller versions for arrows and Crossbows, also all these heads will kill you.